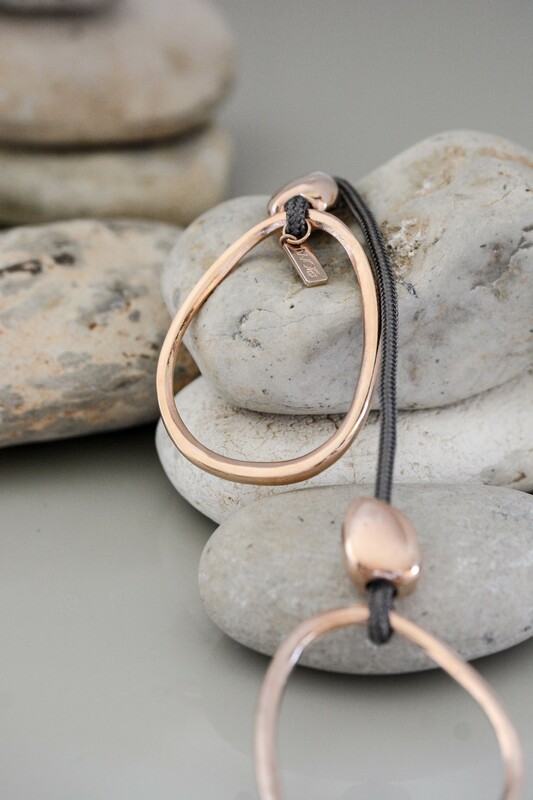 Rose gold colored eggs and stones hang from a mocha-color silk cord, creating a stunning necklace that is a perfect example of beautiful design and attention to detail. It's the perfect companion to any outfit or any occasion. 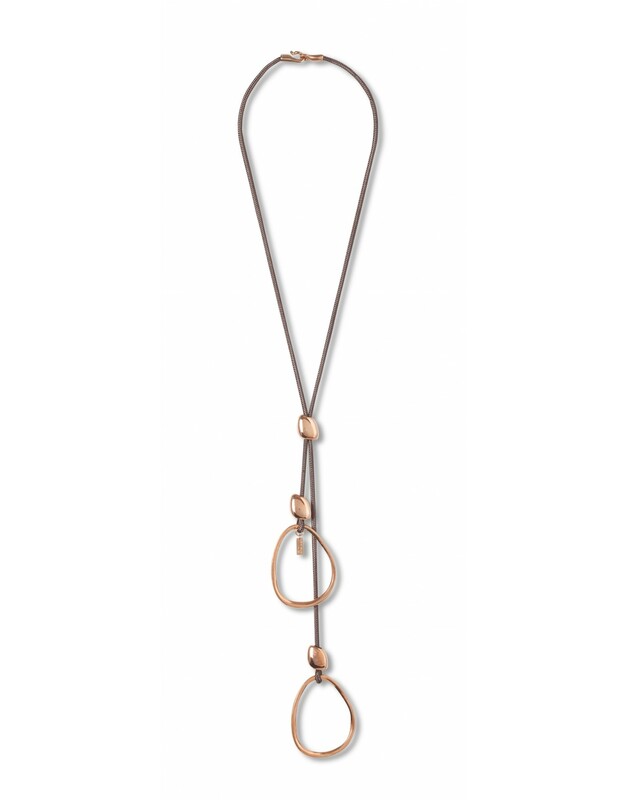 Rose gold colored eggs and stones hang from a mocha-color silk cord, creating a stunning necklace. 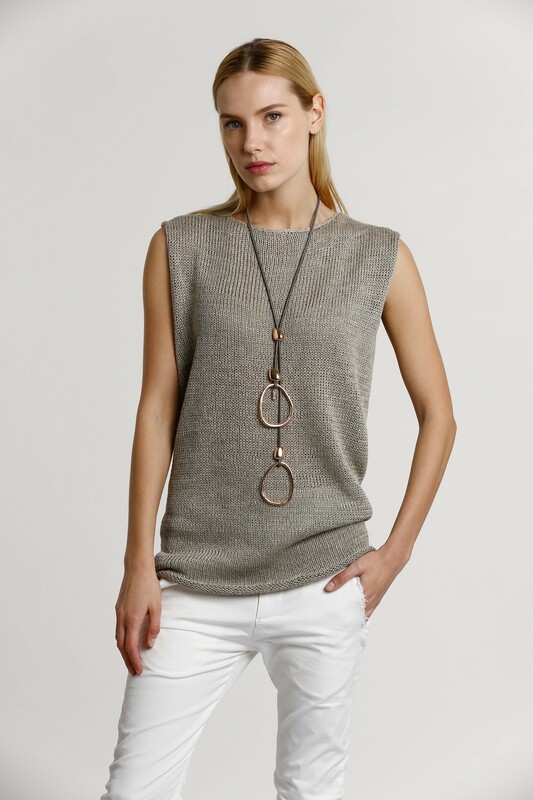 This necklace truly demands attention. 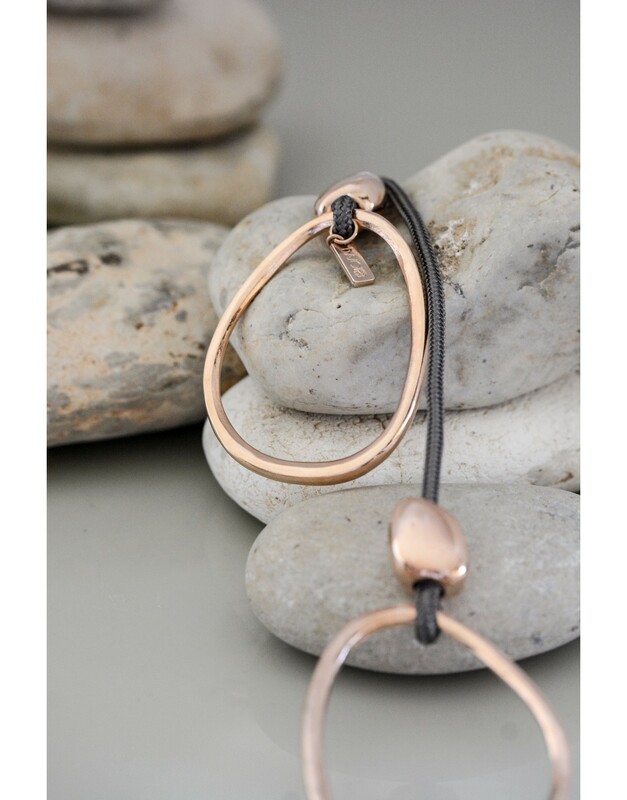 With asymmetrical shapes and delicately-crafted small stones, this piece is a exquisite example of beautiful design. It's the perfect companion for both everyday and high-fashion styles and it will give your wardrobe a fresh look.